A decade ago, blogging was easy. It was accessible, straightforward, and private. It was so private no one would know you blogged unless you told people so. And you’d most likely have only 3-5 readers at a time, nothing more like today’s readership/fan base. Today, the blogosphere has been so saturated that anyone can claim that he’s a blogger. And hey, there’s nothing wrong with that! But alongside those who already know what they’re doing, there are some who are still confused and don’t know where to begin. To the confused, this one’s for you. 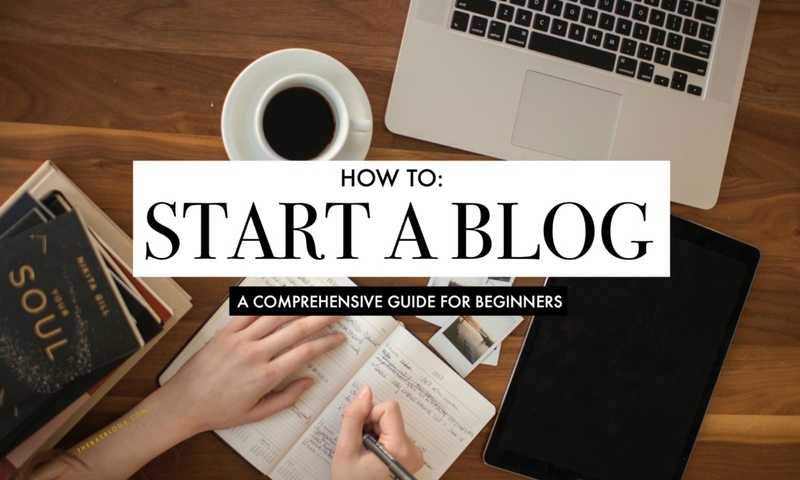 Allow me to share with you this beginner’s comprehensive guide on how to start a blog. Take in mind that this is only comprehensive in a way that I want to feed you as much information as I can (over the course of 5+ years, trust that I’ve already gained bits and pieces of knowledge from here and there), but not to the point of pressure. Read: you don’t have to follow these steps one-by-one. Just take them as a heads up that blogging is not just blogging. It’s way more than that. And if you plan to take blogging seriously, best be armed with these basic tools and knowledge. Disclaimer: This is going to take some time to read. So I suggest you grab a cup of coffee, tea or.. milk, and find a cozy spot to sit for about 10-15 minutes (without hurting your back or bum, of course!). That, or save this one for reading later. But pinky promise that you’ll get back to it, okay? Okay. Or not! I want to share some insights on why I’m doing this in the first place. Many a time, I see people blindly going around asking, “How do I start a blog?” and no one’s willing enough to take a time off their day to help out that person. Or someone would simply respond with, “Try (insert X platform here),” and that’s it. Thus I’m using my blog as a platform for information. I want to be generous with the things that I know so I apologize in advance if you’ll find this a wee bit too technical. Otherwise, I can just tell you to choose a platform, create an account, and start blogging. But I’m not going to do that. So yeah, is your cup ready yet? Let’s start now. For real. Bloggers have their reasons for being so. And I’m sure you also have a reason why you want to start a blog. Why do you want to blog? What’s your purpose? Is it to help yourself? To help people? Either way, that’s a good reason. Or just because it’s the trend nowadays? Like Corinth said, bloggers should value their work so other people value them (us), too. More, we are not just bloggers – we are content creators. How will it be beneficial for others? I intend to use my blog as a platform for information. 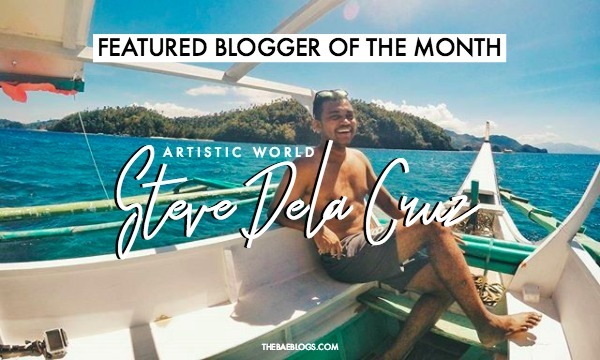 Through my blog, I want people to be aware of different (local) happenings and events in Manila (because I’m a Manila-based blogger). This may also include local products that I personally love. Alongside, I also share bits and pieces of my life through photos and words. I also share my thoughts on topics that come close my heart such as mental health, fitness, and self-love, to name a few. This is an imperative step that most people shrug off and deal with later on (read: never). They never brand themselves properly so their readers also have a hard time pinpointing what their blog is about exactly. If you can’t describe your blog in one simple line, then safe to say you haven’t branded yourself well yet. I’m Bae and my blog is called The Bae Blogs. Basically, it says, “I blog.” “Bae Blogs,” get it? But because my name is pretty unique, I branded myself as The Bae; therefore The Bae Blogs. The Bae Blogs is a personal and lifestyle blog that focuses on a typical Manila girl’s view of her (Manila) world. 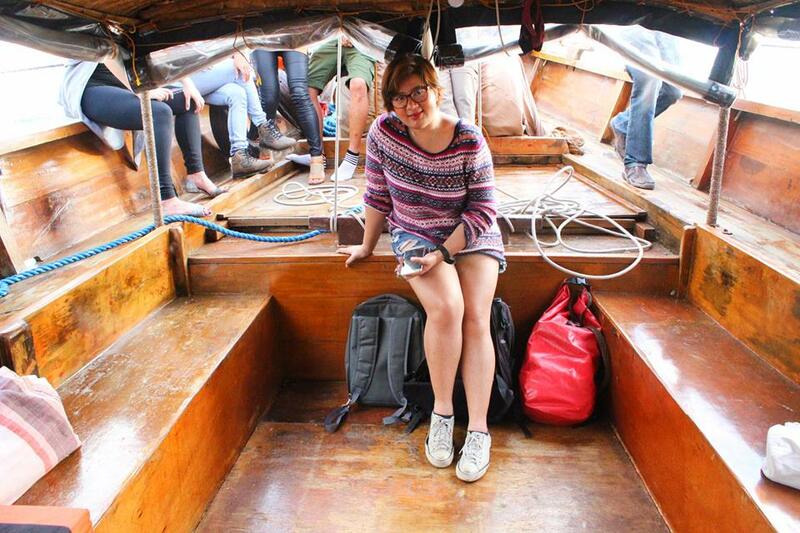 Since I’m a Manila-based blogger, I can’t speak for a European millennial’s lifestyle, get it? This might be too much to digest for someone who just wants to simply blog. But hey, if you’re looking for something no-brainer: go to Tumblr, create an account, and start blogging. But if you’re still reading, then that means you’re in it for the more serious stuff. So let’s get on with it. 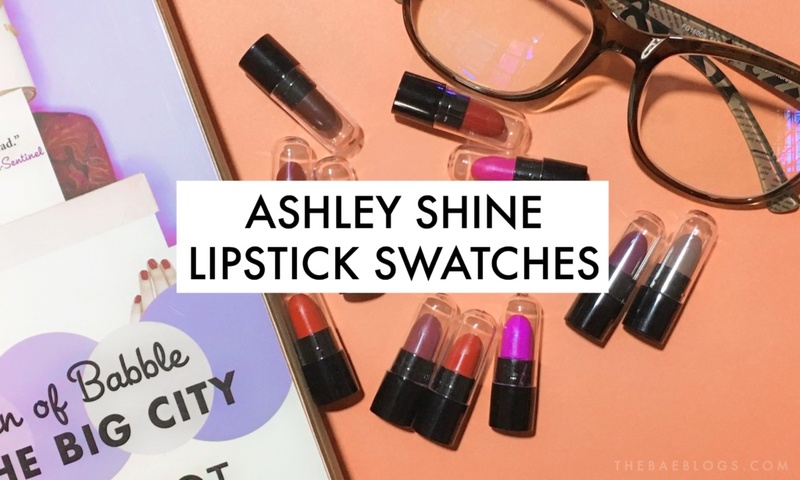 How do you even brand your blog/yourself as a blogger? What kind of blogger are you? What’s your niche? Finding your niche is easy. More often than not, it revolves around your personal interests. I blog about the personal shenanigans in my life because I like sharing the stuff I do. And I write about my life learnings and discoveries (lifestyle) so people can be aware of different things. These cover stuff that I can personally relate to. I try not to touch any topic I’m not well-versed with because that would also require commitment from me. I mostly write about personal things because I’m an emotional person so that comes easy for me. If you’re an old reader, you should know by now that I also love doing tutorials, guides, and anything that would be able to benefit other people because it’s in my nature to help. Once you have your niche, which is your core foundation, I believe, you also have to allot time to establish your brand and your market. Go for something that you can use on all your social media platforms, too. A header is different from a logo, FYI. While you’re free to decorate your header as you please, your logo should be simpler and bolder. For example, my header is The Bae Blogs, but my logo is simply the letter B. Think of a one-liner that best describes your blog. 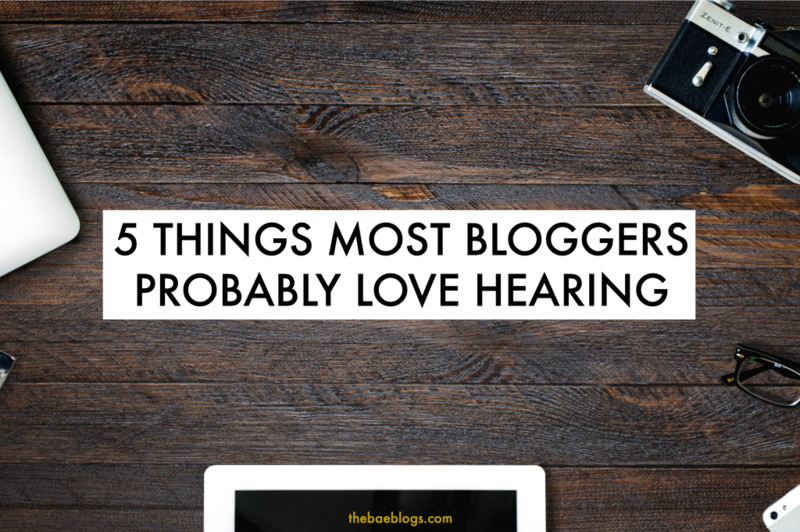 This can be your go-to statement when someone asks what you blog about. Something that is yours and yours alone. Think of your own, be creative! Colors alone can speak for your blog’s personality. How do you want your readers to receive you? Are you a colorful blogger? Pastely? Bold? Minimalist? Here’s an easy suggestion: Make a mood board for your blog and choose at least 5 colors that will go well with your branding. Make Pinterest your best friend for all things collaborative and collage-worthy. Make sure that your colors are well though of. If you’re going to go bold, at least find a neutral shade to balance everything out. An easy bet is 2 contrasting colors such as black and white or dark blue and beige. My take: my colors are mostly earth/neutral tones because that’s what I’m most drawn to; therefore can make consistent in my blog. What attracts me most is what speaks for me most, too, naturally. So when you see a pastel palette, you’d know it’s not mine. Your tone as a writer is very important to your readers. How do you want your readers to feel when they read your blog? Melancholic? Warm? Welcomed? Light? Now, this is less on aesthetic but more on your writing style. It’s really up to you how you’d approach your readers. 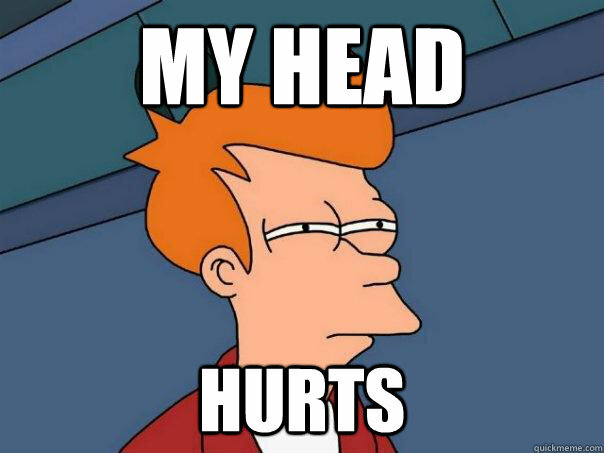 How do you want them to feel at the end of your blog post? How do you want them to remember you by? More on this, are you a personal blogger? Or a ghost blogger? Do you introduce yourself or omit any kind of selfies from your blog? Do your readers know you as an individual entity or an anonymous blogger behind all your content? The Grey Nomad. This duo-blog is managed by two lovely ladies. But if you look at their website, you wouldn’t know that, precisely because they neither have links to their personal blogs or publish their photos in their blog posts (very minimal). Their niche is food so it also makes a good excuse not to post their selfies. What Neil Writes About. Before, Neil was a completely anonymous blogger to me until I met him in person. His blog is devoid of any personal photos of him except for his Instagram icon on the widget. So far, that’s the most personal he could get. Coffee and Weekends. Before Jen changed her blog’s profile photo, I didn’t know how she looks. Her name only says “Jen”, she doesn’t drop names in her blog post, and other similar sorts. However, her posts are all very personal, nothing like you’d see in cutesy websites featuring cutesy articles. 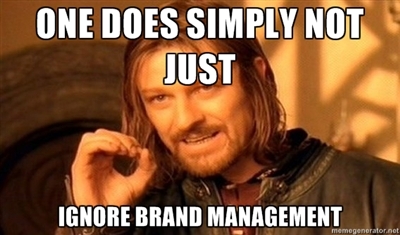 Now that you’ve dealt with all the branding thingamajig, the next question you ought to ask is: who are my readers? Where do they live? What’s their age bracket? What are their interests? What are their lifestyles? Are they studying, working, or both? Are you talking to yuppies? To students? To senior professionals? To mothers? 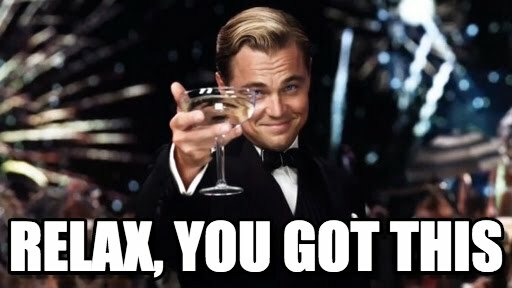 To freelancers? Knowing your market ultimately helps you find the best approach to your readers. Should you be bubbly? Straightforward? Informative? Casual? If I were to give an advice to my younger self when I was starting out with my blog, I’d definitely tell her to learn as many technical skills as she could because blogging doesn’t simply entail sitting down, facing your laptop, and typing. It also requires tweaking themes, learning codes, all those technical stuff that you’d either hate or love. Since this is a comprehensive guide for beginners, let’s start with the basics. There are a whole bunch of platforms out there for you to start your blog. Here are some free platforms: WordPress (.com), Tumblr, Blogger, Medium, Wix, Weebly, LiveJournal, and Squarespace (free 14-day trial). Then there are paid platforms (because you need to have a self-host to sign up): WordPress (.org), Squarespace (after the 14-day trial), Ghost, and all the rest that I mentioned above, granted that you want an upgrade and is self-hosted. If you want to take it up a notch and remove any unnecessary (and often forgotten) extension or suffix (ex: https://www.thegirlwholikesmagic.wordpress.com – such a mouthful, ain’t it? also aesthetically unappealing! ), go for a self-host. But what is it exactly? A web host, or web hosting service provider, is a business that provides the technologies and services needed for the website or webpage to be viewed on the Internet. Web sites are hosted or stored, on special computers called servers. If you do not have a domain, the hosting companies will help you purchase one. That said, you need a domain in order to be self-hosted. But we’ll get to domain talk later on. So now you might ask, “Do I really need to buy a domain for self-hosting”? Well, such as in the case of Blogger, you can simply use your purchased domain in this blogging platform without purchasing any self-hosting service. Note: Provided that you have your own domain. A free website hosting is a free non-paid web hosting service, usually, supports forced ads on subscriber’s website for earning revenue. Free web-hosting that does not make use of advertising also exists; these often come with some limits on usage. There a bunch of self-hosting services out there. It’s just a matter of preference and purpose. For example, if you’re a personal blogger, you’d probably get something basic. If you have an e-commerce website, you need more features and all that jazz. Anyway, most blogging platforms offer self-hosting services. Now this is the challenging yet fun part. What should you call your blog? What sounds exciting, appealing, and appropriate? But before you start playing with cute words and witty adjectives, let’s go back to your branding. In any case, things fall into place when you let them be. Branding yourself is crucial, but so is quality. My best advice: Let it come to you. But if you want to be creative on your own, be my guest. Here’s a good example of a bad domain: https://www.blogme.iammaybellinedeguzman.blogspot.com. I don’t know who Maybelline De Guzman is, or if she actually exists. That’s just a long name I thought of randomly. And I have nothing against Blogger (blogspot) – it just has the longest extension name I could think of. So let’s say Maybelline or May or Lin, for short, loves painting. So that’s her branding already. Arts and crafts, forte: painting. She shares her work on her social media platforms and eventually got enough readers that persuaded her to start her own blog. She wants a domain that speaks about her and her paintings. So she comes up with a simple and concise domain: paintlings.com. It’s a wordplay combination of Paintings and her pen name, Lin. It’s short (therefore easy to remember), straightforward (from her domain, you can already tell what her blog is about – paintings), and has a twist in it (unique). So how much could purchasing a domain cost you? To make it professional, some bloggers create their own blog email so all their blog-related emails would be directed to it. Doing so makes it more professional and official. I’m sure you’ve already seen it elsewhere. Here’s my email address for example: hello@thebaeblogs.com. Because most email platforms have crappy UX/UI, you can redirect your emails to your personal email address such as Yahoo or Gmail. I won’t teach you how to do that because that’s already a different topic. On the other hand, blog emails are practiced by those who have their own domains and self-hosting. Do you plan on having a pop-up subscription box on your blog? What about a Newsletter for your “love letters”? A home page for your featured content? I’d like to say that these things are for the “advanced bloggers” already, but hey, no one’s stopping you from doing things, right? These are completely optional, but as they say, take it as an “icing on your cake”. For example, it won’t hurt to plan a monthly Newsletter for your readers. This could be your “thing” – something that your readers always look forward to. As your blog grows, you can also start designing your Home Page to highlight your best work. This means you can showcase your high-quality blog posts and increase their views even more. A home page also serves as a guide for your blog’s overview. Home pages are meant to have only a few major features/links, so it should definitely not overwhelm your readers. Once your reader goes to your main blog, that’s when he can lurk and check out your other work. Now that we’re done with the major technical parts, let’s proceed with the fun technical part – the theme! A theme can make or break your blog. How so? Imagine having all these high-quality content but a crappy theme that limits your actions. Such a waste, right? But there are also nice looking blogs that have low-quality content. It really depends on the reader. Some wouldn’t mind a bad theme as long as the content is good. Some get hooked on nice aesthetics first – lesser bounce rate! Imagine a nice store like H&M. Pricey tags, but the nice clothes make you linger, right? It’s the same thing. But if you can hit two birds with one stone, why not do that instead? Navigation Bar – This includes your Contact Form, About, Categories, and Search Bar sections. A contact form is crucial in allowing your readers to reach you with ease; your About section gives readers an insight on your blog and what they should expect from you; your Categories should be organized; and your Search Bar is for giving your readers the freedom to search whatever else they want to see on your blog. Font size and style. Your fonts should be appropriate for your brand. If you’re into bold photos, make your font/s bold as well. If you’re building a portfolio, go for clean and easy-to-read fonts. More formal? Go for structured fonts that clearly spell out business. Also, limit your fonts to two. DaFont.com has thousands of fonts available at your disposal. Torn between what fonts look good together? Try out Fontpair.co. A piece of advice, too: If you’re gonna go for a light font style and small font size, go low on your content width. It’s exhausting to read small letters and a mouthful of words in one line! But if you’re gonna go for a bold font, choose a theme that has a wider content box and smaller sidebar, if none at all. Social media links/widgets. Wouldn’t you like your readers to follow you on social media, too? This is also a great way to spark engagement. Don’t let your blog be the only medium of interaction. Branch out! Mobile-friendly. While your website looks on fleek on a desktop, keep in mind that majority of people nowadays read using their mobile phones. This makes sense, right? Enter the generation of people barely talking and looking at their phones all day. Make sure your theme is mobile-friendly (this is pretty easy to spot, most themes include this feature in the theme’s description). Save your readers the agony of zooming in and out just to read your content. Photos. Optimize your images to save space and precious loading time! Bigger photos mean slower website. Your photos might be da bomb, but your readers will not wait forever. Take it from me who’s learning all these technical miracles just now – optimize your photos. This will save you lots of time in the long run. If you already have Adobe Photoshop, you can optimize your photos there by choosing the “Save As Web” option. Blogging platforms also have different plugins for this. Example: Smush on WordPress. Sidebar design. Ever wondered why it’s more appealing to have your sidebar on the right side? If you have a sidebar, make sure it’s on the right side because users read from left to right. 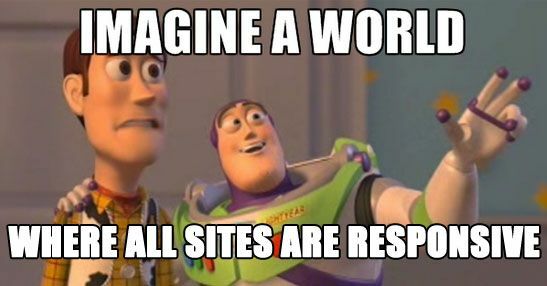 And you’d want users to notice your content first before the sidebar. Another thing is, when you’re on mobile, it should be rendered from left to right and top to bottom. Meaning whatever is on the left side should be on the topmost field when you’re browsing the website via mobile. So if your sidebar is on the left, it’s the first one you’d see on your mobile… which isn’t good, because mobiles have a small screen size, so you’d want to show content first before the sidebar. Now that we’ve thoroughly discussed all aspects, let’s have a recap. – What’s your blog’s purpose? – How will your readers benefit from your blog? To be really honest, it’s easy to write any content given that you only talk about the things you know best. People can smell genuineness and if you’re faking your words, they’ll know it, too. It all boils down to how you talk to your readers. Are you able to build and sustain your relationship with them? Are you able to influence them in a good way? Are you able to meet their expectations and deliver on your promises (look back on your purpose)? At this point, grammar is one less thing you should worry about. Just write. Your words are your blog’s blood. Without them, it will die. As a matter of fact, as you write more, your writing skills will also get better. What matters the most is that you stay sincere while striving to produce quality content. Kung gugustuhin mong mag-tagalog, hindi bawal. O Taglish. Kung doon mo mas ma-e-express ang sarili mo, bakit hindi, diba? You don’t have to produce 3,000+ words like this one every single week to prove you’re doing quality. Quantity is never synonymous with quality. They also say that consistency is the key, but, again, it doesn’t equate to quantity. Just because somebody told you to be more consistent with your posts, you should publish something 2-3x a week. To be honest, it’s taxing more than rewarding. If your “consistent” is monthly, then so be it. At this point, you’re not aiming for 1,000 views a day. The goal is to start a blog and, from there, strive to find your own voice and market. It’s as simple as that. Let’s go back to the title of this blog post: How To Start A Blog: A Comprehensive Guide For Beginners. This is only the beginning so be kind to yourself. To add, you find your market by being you. Because that’s what people want – realness. Ready to start your blogging journey? If yes, then I’m with you in spirit. I’m rooting for you. Any questions, clarifications? Comment down below. These content are based on your response. So let me know your thoughts! Thank you, Cris, as always! I’ll look into it. 🙂 I’ll study the different apps first. But from I envision, it would be a hodgepodge of “why u should schedule, what apps to try, best time to post,” so its gonna be lengthy again. Lol. Great article! Very lengthy and meaty. As always, I did expect Camie to be mentioned in the post – which you did. And you have come a long way from “just being a lifestyle blogger”. 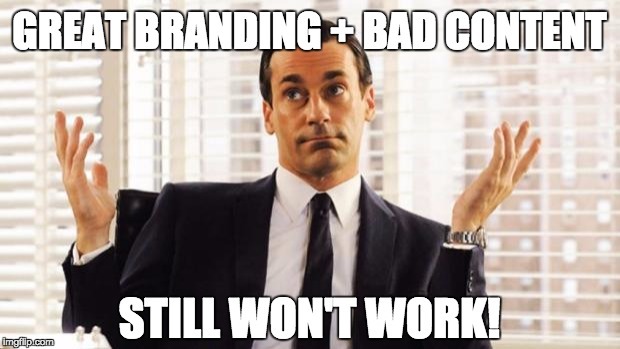 Now you’ve branded yourself well, logo, blog theme and all. Many people make the mistake of making a “lifestyle” blog thinking it will hit it off. When thinking of your niche, it should be unique to you and to what you want to accomplish. Your readers will follow later. 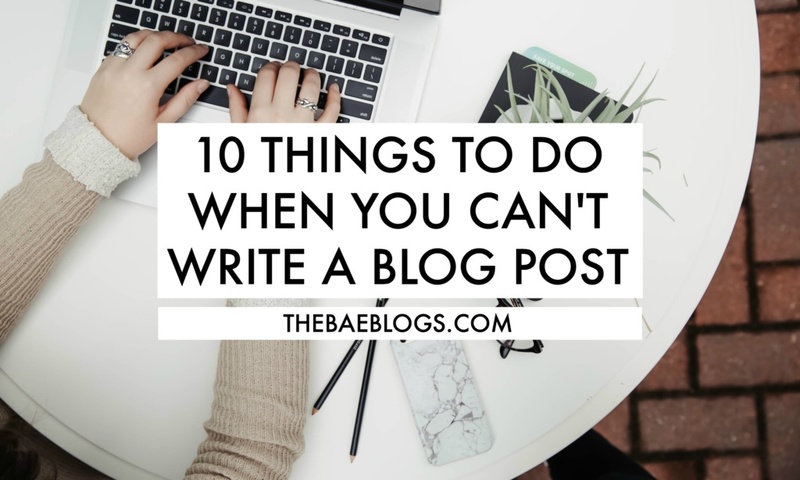 Because if you try to blog for other people but you haven’t really dug deep within yourself of what is important to you… blogging will feel like a chore. Great read for beginners indeed. I hope this does help a lot of people. Promote this on your page and to other blogging groups at least once a week to gain more exposure. True, eventually it will be hard to produce content if your niche is not what you really like writing about. My advantage with having a lifestyle blog is that I get to discover what works on me and what doesn’t. My content is always improving based on my personality and own interests. I’m very transparent naman and I believe it shows in my blog posts, so I don’t have to force anything. Smooth ang writing process ko. In fact, my problem is having too many content ideas! Haha.